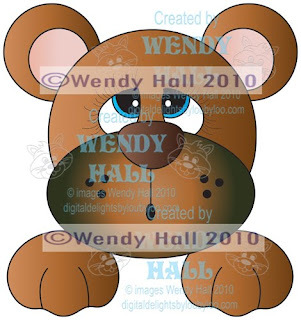 It's Friday, which means another Freebie from Wendy at Digital Delights. This time it's a cute bear topper. Go grab him on our page at Papercraft Planet or SNR Card Universe while he's available.